This is a very accomplished hour or so of doom metal, interleaved with elements of progressive rock, blues rock, and atmospheric metal. Straight from the very first track the band show that they know how to create engaging, atmospheric music. Somewhere between rock and metal, Old Night sound like what you might expect to happen if you combined modern day Anathema with the emotive, progressive rock of Green Carnation, and both of them suddenly became enamoured with the traditional doom metal style. The result is a collection of songs that take the best from each of these worlds and forge their own path through the crowded waters in search of their own space to call their own. Based on Pale Cold Irrelevance, I think they have found it. The lead singer has a rich, powerful voice that’s as professionally delivered as it is full of heartfelt emotion and strength. Full and well-rounded, his voice is sumptuous and rich. He’s also ably assisted by two other backing singers when the situation demands it, including some deep growls that are unleashed for emphasis here and there. Just like the lead singer’s voice, the music is also rich, powerful, sumptuous, and professionally delivered. All of the musicians play important roles in the compositions, and because the band boast three guitarists, there’s no shortage of complexity or nuance where necessary. Gorgeous leads and subtle playing enhance some choice riffs and solid drumming, while the bass guitar occasionally goes its own very pleasurable way. The songs are emotive and impassioned epics that take the listener on a comprehensive journey into the dark night. Fear not though, for the band are personable and knowledgeable companions, and are more than capable of steering you through the darkness and ensuring that you safely emerge the other side, much better off for the experience. This is an extremely strong album; it’s hard to understate this, really. It’s also hard to credit the fact that it’s highly likely that this album will pass most people by and they’ll never get to experience it. 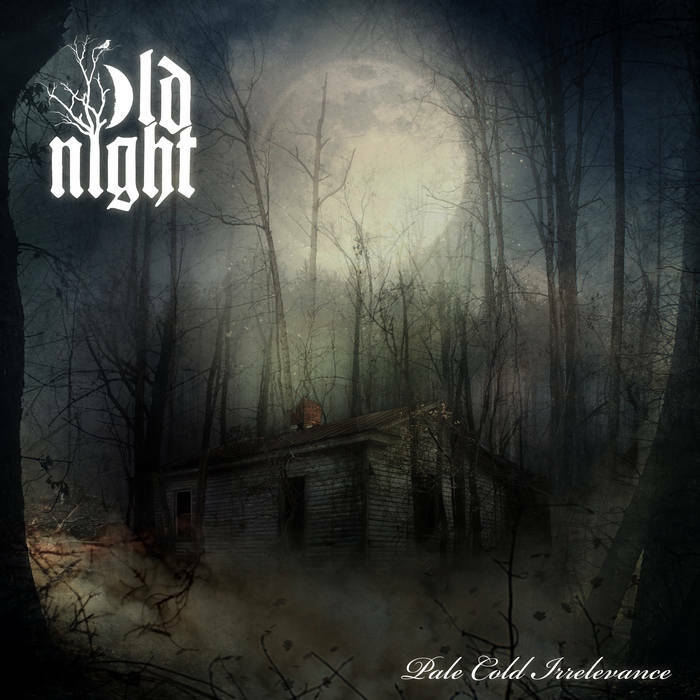 If there was any justice in the world Old Night would be picked up by one of the larger metal labels and would become one of the leaders in the field of emotive, atmospheric metal. However, the chances are that most people will never even hear of them, let alone actually hear their work. This is a tragedy, as Pale Cold Irrelevance is so good that it can easily rival many of the albums released by bigger bands playing similar material. Don’t miss out, listen to Old Night. This entry was posted in Doom and tagged Anathema, atmospheric metal, Blues Rock, Doom, Doom Metal, Green Carnation, Metal, Old Night, Progressive Rock, Traditional Doom Metal. Bookmark the permalink. The lead singer has a bit of a Layne Staley thing going on.